With this full bag, you have everything close to hand for your Handpresso break in the car. What is Handpresso Auto set? Handpresso Auto is a coffee maker that helps you prepare a barista-like espresso in your car in 2 mn only! It plugs into the 12 volt cigarette lighter plug and sits in the cup holder. It gives the freedom to convert the coffee-break into a real relaxation moment wherever you are. 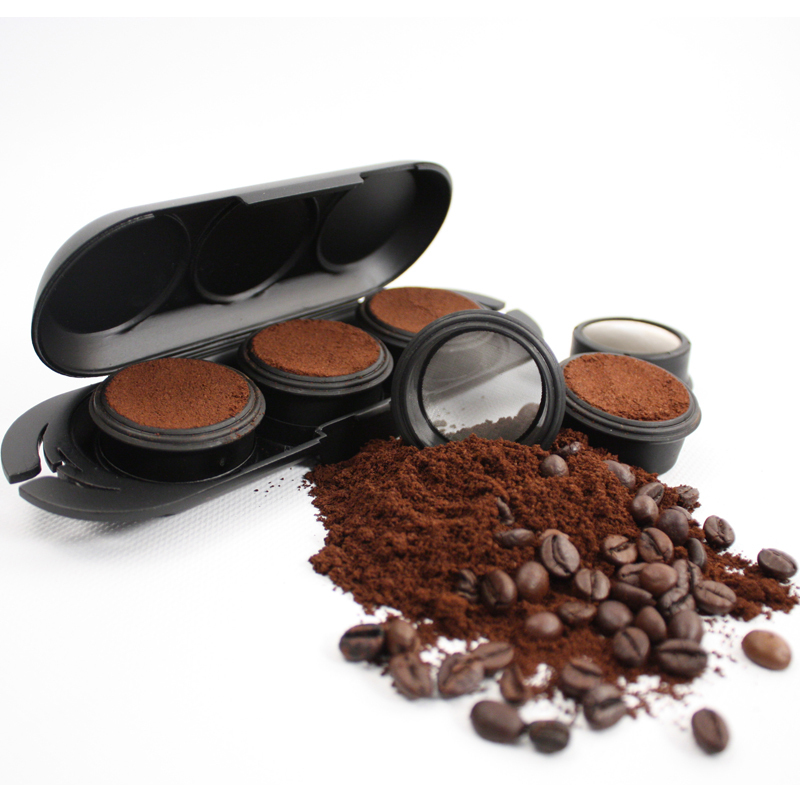 When you open it, it can be used as a tray and its lodgings make it easy to use the machine and drink your espresso. Pods, sugar and spoons fit perfectly inside. Once your break is over, you’ll close it and place it in the glove box for instance. What is new about your 12v coffee maker? The Handpresso Auto set is sold with two portafilters, a small one to be used with E.S.E.pods and a larger one for ground coffee, as well as a cup with water level graduation and a small napkin. The 12v coffee maker has also a dial showing the water temperature. How to use your set with the espresso maker in the car? 1.Plug the machine to a (12v) cigarette lighter plug. How to use your Handpresso Auto Set at home, on the go or in the office? In order to use your Handpresso Auto espresso maker elsewhere than in your car, you can use a 220V/12V adaptor allowing you to plu git to a plu git to a wall plug while on the go or in a holiday home. What type of coffee should you use with your onboard coffee maker? Your machine uses E.S.E. espresso pods (stiff pods) or ground coffee. The coffee inside the pods has been tamped, so it requires 16-bar pressure to pass through the pod and create the nice crema, which characterizes a perfect espresso. -You can descale your machine regularly by making a cycle without any pod and mixing 1/3 white vinegar with 2/3 water (mind the projections! ).